Investors continued to punish Hewlett-Packard (HPQ) Thursday, a day after the company issued a grim outlook for 2013. Hewlett-Packard extended the previous day's decline, after getting hammered on Wednesday. The stock has had a rough year, sinking more than 40% so far. That makes HP the worst Dow (INDU) performer by far this year. Dell is in a world of hurt. 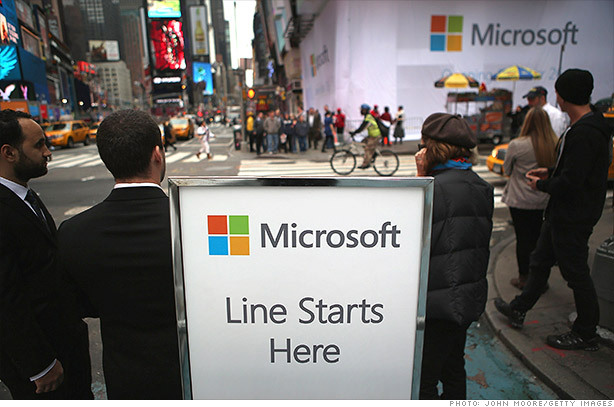 The PC maker reported sales that missed forecasts and cut its outlook for the current quarter. The fact that Dell (DELL) beat earnings estimates was shrugged off by investors, who want to see the company ramp up its mobile efforts.